Joel Markowitz received his undergraduate degree from Brandeis University and his law degree from Georgetown University. He initially practiced in New York City as a trial attorney for the Criminal Division of the Legal Aid Society and as a law assistant in the Supreme Court. He thereafter practiced in Smithtown before joining our firm in 1989. Mr. Markowitz concentrates his practice in litigation at both the trial and appellate levels. 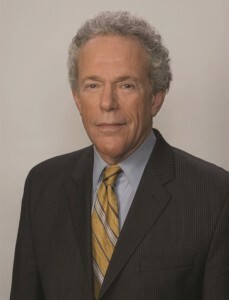 He was the founding Chairman of the Appellate Practice Committee of the Suffolk County Bar Association and has coordinated a series of appellate practice programs sponsored by the Suffolk Academy of Law. Mr. Markowitz has handled major litigation matters involving land use issues, environmental law, banking law, commercial transactions and trusts and estates. He has appeared as a legal commentator on News 12 Long Island. Mr. Markowitz is admitted to the New York Bar, U.S. District Court, Eastern and Southern Districts and the U.S. Court of Appeals, Second Circuit.